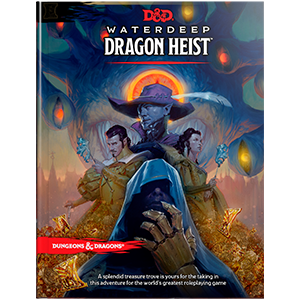 Welcome to Waterdeep, City of Splendors! You’re summoned by Volothamp Geddarm, famous explorer and raconteur, to complete a simple quest. Is anything ever really simple though? Experience a grand caper, pitting your skills and bravado against two nefarious organizations as you go on a hunt for the greatest prize of all.